There’s something cathartic about acknowledging an obvious reality that you’ve had to deny for years for the sake of peace. You refuse to go to your in-laws for the holidays because your father-in-law is a bore and your mother-in-law is a terrible cook. Your mother is never going to have grandchildren because you are gay and don’t want to raise a child that isn’t biologically yours. Your kid has no interest in fulfilling your long-abandoned dreams of being a musician, and when he admits it, you realize you love him less for it. And Jerusalem is the capital of Israel. The diplomatic landscape is littered with unresolved conflicts, and in many cases the United States has resolutely refused to recognize the obvious. We have never acknowledged that there are two Koreas, for example; there is no American embassy in Pyongyang. For decades we claimed that the only legitimate Chinese government was on Taiwan; then we claimed it existed but were agnostic on where it lived; then we acknowledged it was in Beijing, but refused to say that Taiwan was either a province of China or an independent state. We recognized Kosovo, but not Abkhazia or North Cyprus ? or Palestine. Jerusalem has, for decades, held a similar officially indeterminate status ? though the fiction was paper thin. 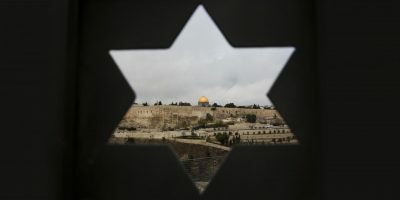 Presidents routinely visited Jerusalem on their trips to Israel, politicians across the American spectrum professed their support for Israel and the indivisibility of Israel’s sovereignty in Jerusalem (including then-candidate Barack Obama in 2008), and, since 1995, the official policy of the United States Congress has been that the American embassy should be moved to Jerusalem. But the official position has been that the status of Jerusalem is subject to final negotiation between Israel and the Palestinian Authority. President Trump’s declaration on Wednesday that the American embassy would be moved to Jerusalem was somewhat less momentous in formal terms than is generally being suggested. President George W. Bush had already acknowledged that “facts on the ground” had to be taken into account in final status negotiations, which was generally understood to be an endorsement of the Israeli position that large settlement blocks would have to be incorporated into sovereign Israel as part of any deal. It’s inconceivable that Ma’ale Adumim would become part of Israel while Jerusalem would revert to a corpus separatum. And Trump himself left open negotiation over the boundaries of Israeli Jerusalem. But the declaration is not meaningless. At a minimum, Trump’s candor deserves to be matched by candor in return. The United States has, for decades, postured as something resembling an honest broker, or at least a power that stood sufficiently above the fray to look after the interests of both sides to the conflict to some degree. This fiction has also seemed paper thin at times, and should now be discarded. Why make this change now? On one level, the answer is obvious. President Trump’s contempt for diplomacy has been manifest for some time, as has been his disdain for “losers” ? and the Palestinians are certainly not famous for winning. His entire political brand is the catharsis of unpleasant truth-telling, with the catharsis and unpleasantness far more central than the truth. So why wouldn’t Trump do this? Isn’t it harder to imagine him doing the opposite, and earnestly explaining why he was upholding America’s traditional diplomatic position? But the objective reality of the Israeli and Palestinian situation has also changed, and that is an ugly truth also worth recognizing. The Arab world hasn’t been this fractured since Israel’s creation, nor has the Arab-Israeli conflict been less central to politics in that part of the world. Saudi Arabia has been actively pursuing a tacit alliance with Israel against Iran. Egypt is under the thumb of a military dictator who is more friendly to Israel than any Egyptian since Sadat. Syria and Iraq are still in the throes of civil war, and both the Sunni-Shia conflict and the threat of Sunni extremism are of far greater concern across the region than the status of the Palestinians. The larger international context has changed as well. Earlier this year, Russia recognized West Jerusalem as Israel’s capital ? which, while coupled with a declaration that East Jerusalem should be the capital of an independent Palestine, was still a surprising shift in the Israeli direction. The emergence of explicitly anti-Islamic far-right parties as serious political forces across Europe complicates mainstream parties’ traditional concern for the Palestinian cause. If there is violence in response to the American move, it’s probably fair to say that it will meet with far less international sympathy than would have been the case only a few years ago. All of these are reasons why any administration inclined to support Israel’s position more strongly might make a move of this kind at this time. But the Trump administration itself represents a far more meaningful change to the international landscape than the relatively minor adjustment represented by this one speech. And that has some bearing on the likely consequences of this move and its effect on the region. Historically, many of America’s alliances have been as much about restraining the ally’s ambitions as they have been about benefiting from their active assistance. NATO kept Germany from being a threat to its neighbors; our alliance with Japan reassured other Asian nations about possible Japanese rearmament. Our alliances with Pakistan, Egypt, and Saudi Arabia have enabled us to retain some degree of influence in countries that could otherwise cause America far bigger problems. And historically, this has been part of the nature of our alliance with Israel as well. But that may be changing under this presidency. President Trump may be giving Israel’s right-wing government the same green light that he gave to Saudi Arabia in its conflict with Qatar and in its brutal war in Yemen, the same green light he’s given our own military in the wide variety of conflicts in which it is engaged. If that’s the case, then worrying about violence by Palestinians or their sympathizers may be putting the emphasis very much on the wrong side.